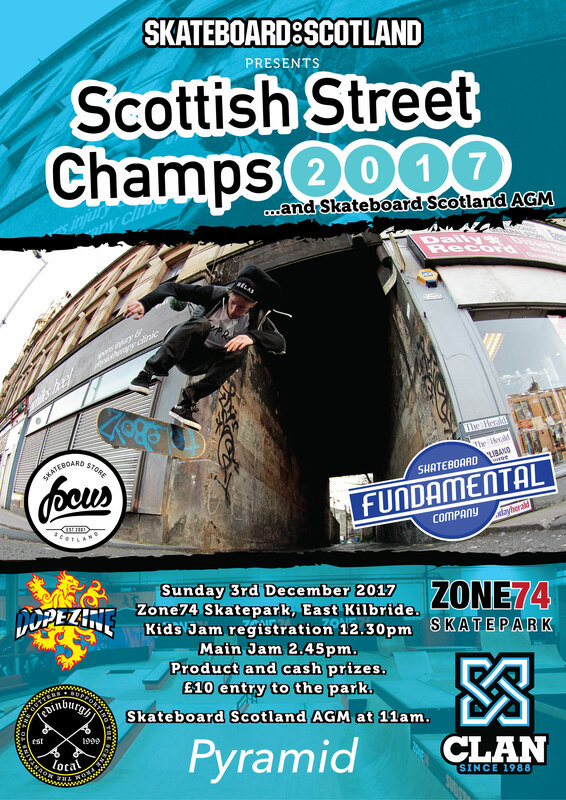 The 2017 Scottish Street Championships and the Skateboard Scotland AGM will be happening on Sunday the 3rd of December at Zone74 Skatepark in East Kilbride. There will be products and cash for prizes, also the top 3 riders will win free transport to compete in the UK Champs in April next year! 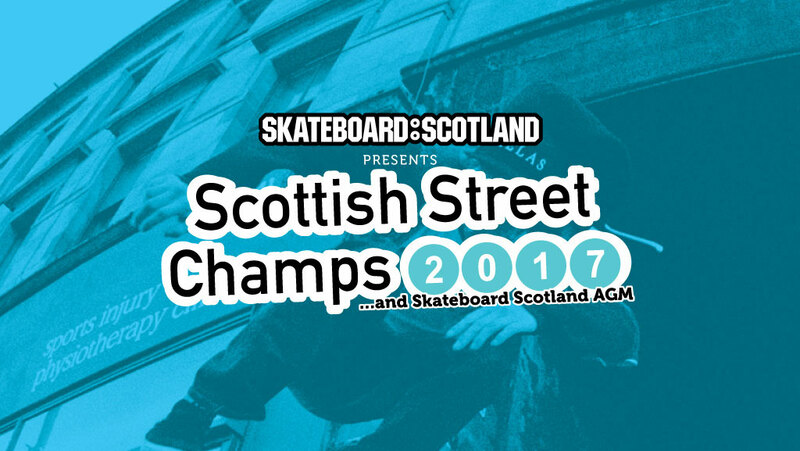 The Skateboard Scotland AGM is at 11am and offers people the chance to meet the Skateboard Scotland committee and find out more about what Skateboard Scotland has been up to over the last twelve months. It should last about an hour and will include a summary of the past year, a summary of the accounts and the usual voting in of board members. So if you’d like to find out what we’ve been up to or maybe even lend your support in anyway, it would be great to see you there! We are particularly keen on attracting some female representation on our board so if you are female and keen to get involved with the future direction of Scottish skateboarding, please come along and make yourself known. After the AGM the Kids Jam will open for registration at 12.30pm followed by the main Jam at 2.45pm. A massive thank you to the sponsors who help make this event possible! 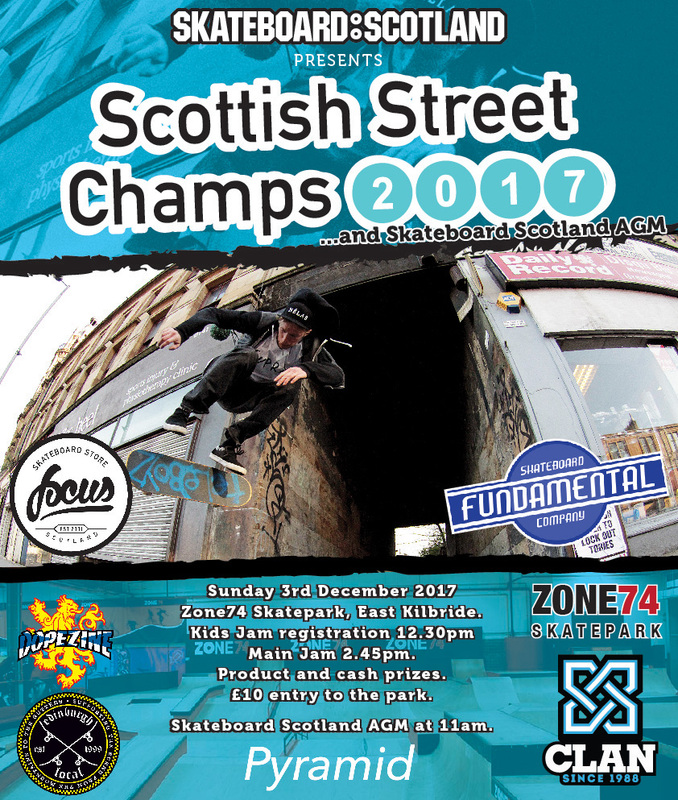 Focus, Clan, Pyramid, Fundamental, Edinburgh Local and Dopezine, and also to Zone74 Skatepark for hosting the Street Champs and the AGM! £10 entry for the day.